Tampa is the largest city in the very large Metro (4 million people) of Tampa-St.Petersburg-Clearwater on Florida's west coast. Located about half way down the coast, the city has a spectacular location on Tampa Bay and Hillsborough Bay, which in turn lead to the Gulf of Mexico. While Tampa is a city, it offers easy access to white sand beaches on the Gulf. Tampa has a reputation for attracting all types of people - it is highly rated for 20-somethings to retirees. The city has also been on lists for "cleanest city" and "best outdoor city". People like living in Tampa because of the climate (not as hot as southern Florida but still between 50-70 in January), its location on the water, it's many sports teams and recreational opportunities, and for its friendly people. The city has every type of cultural resource such as theatres, museums of all kinds, and a vibrant city life. The population is almost 350,000 and the median age is a relatively young (for Florida) 35. The University of South Florida (26,000) and University of Tampa are just 2 of the colleges that keep a youthful feel in Tampa. As you might imagine in a city this diverse there is every kind of neighborhood from downtown urban, expensive waterfront, to countless active adult communities. Nearby St. Pete and Clearwater provide additional places to consider, along with newer and sometimes less expensive developments to the east. Median home price in the Tampa/St.Pete/Clearwater area was $235,000 in the 4th quarter of 2018, according to the NAR. 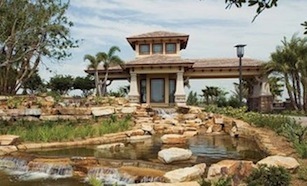 Homes near the water or in upper end buildings and developments can be much more. Breathtaking location on Tampa and Hillsborough Bays. The annual Gasparilla Pirate Festival which attracts 400,000 people every January. Every kind of professional sports team. Vibrant and exciting city yet a Metro so big it can be suburban as well. Tampa has an interesting mix. Numerous parks and places of historical importance such as Babe Zaharias Golf Course in the Forest Hills area. Just to the west of Tampa is Pinellas County, which borders the Gulf of Mexico. Pinellas County is a series of nearly connected towns from north to south: Tarpon Springs, Palm Harbor, Dunedin, Clearwater, and St. Petersburg. All boast wonderful parks, trails, beaches, and boating. Pinellas County has the highest rated public schools and public library system in Florida. Dunedin (nicknamed "DogEden") perennially is listed amongst the most dog-friendly communities in the country. There is a fair amount of Tampa "bashing" on various discussion boards for its crime, traffic, and more downtrodden areas. Yet most residents seem to be very fond of Tampa and think it is a great city. Located about half way down Florida's coast, the city has a spectacular location on Tampa Bay and Hillsborough Bay, which lead to the Gulf of Mexico. Clearwater is to the west and St. Petersburg to the southwest. Winters are mild and summers can be rainy - the temperature has never gone above 99 degrees. Tampa has a staggering array of cultural opportunities. There is an important Performing Art Center, Art Museum, Museum of Science and Industry, many theatre companies, college sports, professional sports, and the annual Gasparilla Pirate Festival. 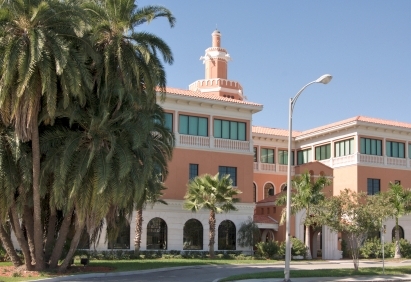 University of South Florida contributes culturally and also has a Contemporary Art Museum. Concerts, music, and art are available in abundance. Historic Ybor City, adjacent to Tampa, is culturaly and artistly vibrant and quite gay friendly. Pinellas County, just west of Tampa, on the Gulf of Mexico is home to numerous award-winning seafood restaurants. Local, regional, and national performing arts, as well as, several top-notch museums prosper in Pinellas County. Crime in Tampa is about 25% higher than the national average. Tampa has every kind of medical facility to help retirees with just about any problem. There are at least 8 hospitals. Tampa International Airport is a major airport. There is a system of street cars and buses. 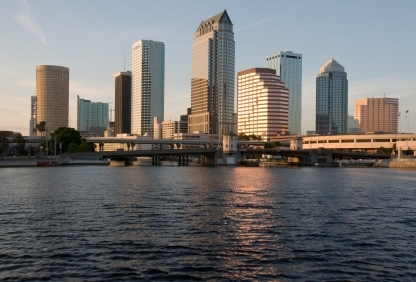 AMTRAK service from Tampa Union Bay Station is available with service to Miami and New York. Tampa is average in walkability when compared to other cities.